Mobile app marketing has grown increasingly sophisticated over the past several years. In the beginning, most apps were launched more with hope and a promise than with a robust measurement strategy. Most early mobile apps were games, and given that game marketing is dependent to a large extent on the ability to generate hype, there was less concern about what happened after the install than there was about maximizing position in app store rankings. All that has changed. First, apps now represent a critical source of revenue for many companies. That has demanded that marketers view measurement and optimization of mobile apps as critical responsibilities. Many gaming companies, for example, have recognized that a core group of consumers represent a disproportionate share of revenue. In response, they have created massive business intelligence (BI) platforms to more fully understand marketing effectiveness and user behavior. Second, many other types of mobile apps – from retail experiences to companion apps – have entered the space in large numbers. Such brands and marketers expect rich measurement as part of any digital initiative. Third, the increasingly competitive app environment has led a growing number of app marketers – both inside and outside of the gaming sector -to seek and leverage marketing effectiveness data and insights about what people do in an app once it has been installed. From a user acquisition (UA) standpoint, most marketers don’t focus solely on install counts and cost per install (CPI) metrics anymore. This is because there is growing awareness than the quality of installs can vary a great deal based upon how and where they were generated. While once marketers were content to pour dollars into the least expensive CPI programs, they now care more about the cost per “quality” install. At the most basic level, “quality” here means that a user who installs an app goes on to make significant use of that application. And one of the key ways to get at user quality measurement is to understand how many people uninstall an app soon after the initial download. For many mobile app marketers, it has been difficult to calculate uninstall rates, because the leading mobile app measurement solutions did not offer a means to determine whether or not an app had been uninstalled. While standalone mobile app uninstall measurement has existed for some time, relatively few mobile apps have adopted that standalone technology, particularly in the US. Apsalar changed the dynamics of mobile app uninstall rate measurement in January, 2016, when we launched uninstall attribution to our popular mobile app analytics platform. Simultaneously, we have undertaken an education campaign to ensure marketers understand the importance of mobile app uninstall rates, why they matter so much, and how to use granular uninstall measures to drive better results for their mobile app marketing spending. Why do app uninstalls matter so much? What do they tell us about our businesses? What do app uninstalls cost my business? How many people uninstall applications, and why? How does the Apsalar Uninstall Attribution measure work? What are some use cases in which uninstall rate can be leveraged to improve marketing ROI? We hope that you find the information and ideas helpful in your efforts to drive maximum ROI from your marketing spending. Why do uninstalls matter so much? What do they tell us about our businesses? Uninstall rates are critical information because a user that uninstalls an app cannot help you deliver on your KPIs. Whatever the goal of your app, you cannot meet it if a user doesn’t have the app to use. While some marketers are incented purely on the basis of total installs, that is becoming increasingly less common as businesses look to apps to drive key business goals like revenue, engagement, or product satisfaction. Think of app uninstalls as a massive “tax” on your app business metrics. Each uninstall represents a loss to the business of one user’s engagement or lifetime value (LTV). Further, failure to consider uninstalls leads to major misallocations of resources. Without insights into uninstall rates, you might mistakenly allocate resources to tactics that don’t drive your KPIs, or at least don’t drive them as well as could other tactics. There’s one other key issue to consider. Lots of research on App Store and Google Play ranking and search algorithms shows that the app stores have shifted focus from initial app popularity to long-term app and app install quality. The actual components of the ranking algorithms are secret. But data appear to show that uninstalls are more important for the Google Play ranking algorithm than for the Apple App Store. The algorithms appear to value uninstalls that occur soon after an install as more important than uninstalls that occur weeks or months later. An immediate install, it is surmised, is more indicative of a low quality app. Uninstalls that occur 60 days or more after an install appear to have little importance in store rankings; that’s because many apps are believed to have a finite “shelf life” of utility. 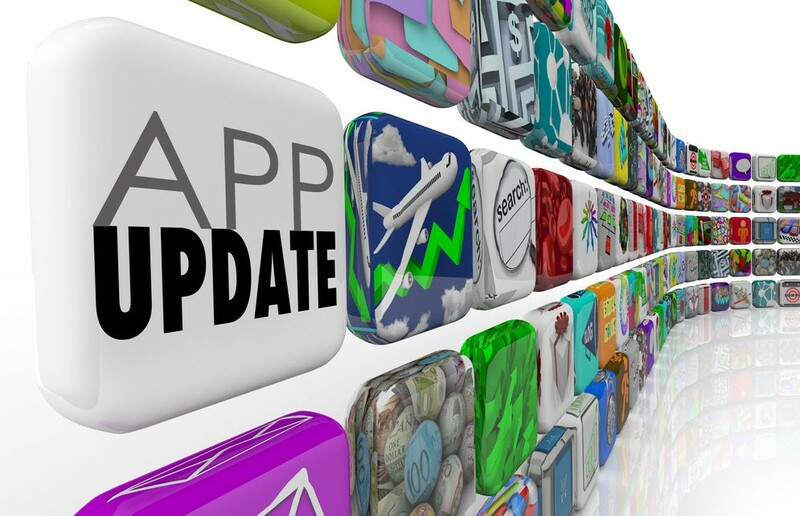 an average of 26% of app installs are uninstalled in the first hour. That uninstall rate rises to 38% in the first day, 64% in the first month, and about 89% over 12 months. Those figures represent the average across all app types. These rates vary based on global region and app category, to name just two characteristics. Geographically, the highest uninstall rates tend to occur in developing markets like India, China, Brazil and Russia. This is not because consumers in those regions are more fickle, but rather because the smart phones that are popular in those markets, which tend to be lower cost, often have much smaller memory. In other words, users must often delete an existing app in order to add a new app. For this reason we also see more apps reinstalled in these regions. which types of apps have high uninstall rates, and which tend to have lower rates. of smartphone apps are only relevant infrequently, so their frequency of use is naturally lower than for, say, a casual game. 1) App Performance Issues: People expect apps to function beautifully every time. When an app won’t launch, or launch quickly, or crashes frequently, or functions slowly, or offers bad UI/UX, data show that people quickly lose interest. A 2014 App Dynamics survey of Android and iOS app users in the US and UK showed that 2/3 of consumers say their expectations of app performance are increasing, and that almost 9 in 10 had uninstalled an app because of poor performance. Another study, from Compuware, provided more insight into the specific performance issues that led to user dissatisfaction. Crashes and slow app performance were the most frequently cited experience issues. 2) Unmet User Expectations: Some mobile apps are good and some aren’t. User expectations of app utility are quite high and continue to rise as consumers set ever higher bars for app developers and publishers to clear. An app that doesn’t do what it promises won’t last very long on a user’s phone. 3) Onerous User Requirements: People expect using an app to be easy, including the initial sign-up or configuration period. Uninstall rates are higher when companies require a social sign-up, or don’t offer the option of one, or when the amount of personal information requested during the initial launch seems too high. What constitutes too much information varies by user, but uninstalls tend to be higher when companies request information that does not appear to be germane to the core functions of an app. For example, an app that requests location information without making clear why it is valuable to share it. 4) Better Apps Available: Your app must constantly compete with other apps that can perform similar tasks and create similar value. When better apps are available, users tend to replace mediocre ones. 5) App Experience Completed: Many apps, especially in the gaming category, have a finite shelf life. When you finish every level of a game, or when an app performs a function that is no longer relevant to the user, the app is uninstalled. 6) Phone Space Constraints: Many uninstalls occur because people need to free up memory for other content on their phones. This is a particularly major cause of uninstalls in the developing world, where device pricepoints and phone memories tend to be much smaller. Time for some fuzzy math, based upon a bunch of admittedly simplistic assumptions. First assumption is that as a marketer you can immediately impact paid installs but not unpaid uninstalls. The idea is that overall uninstall rates for organic installs are driven by product satisfaction or dissatisfaction, whereas the rate of paid installs that are uninstalled can be affected by immediate marketer decisions. It’s not entirely true, of course, and marketers should and do play a big role in overall product decisions. But that role is tough to quantify. Second, we’ll assume that the objective for all apps is to drive revenue. Also not true, of course, but some “givens” are necessary to provide a general sense of the costs of uninstalls. So what is the revenue benefit of a 10 point improvement in paid uninstalls? 3.3% of total revenue for gaming, 6% for retail, 3.9% for Travel and 5.3 percent for on-demand services. We’re discussing upside here rather than downside because a data point like uninstalls is one tool in your quiver for improving and optimizing. We should focus on the opportunity for the present and future rather than the cost to the past. It follows then that if you can make decisions that reduce your paid uninstall rates by 20% or 30%, you can make major revenue gains. We’re fully aware that these assumptions are generalizations, but using them can give us some insight into the cost of not understanding and optimizing to uninstall rates. available as a metric in all traffic reports and cohort reports, so the user is free to create analyses specific to their business. Here is an example screenshot from our Traffic reporting, showing how you can compare uninstall rates across different vendors. And this is an example cohort report showing how you can measure user decay over time. These are just two examples of reports you can pull using uninstall rate metrics. You can examine rates in the UI or download data to Excel or a BI platform. One of the best things about Apsalar Uninstall Attribution is that clients get access to the data for free. There is no additional charge for the measurement. Further, getting started is quite easily. Clients simply update the Apsalar SDK in their apps and input a project number and server key right in the Apsalar UI. Now the fun – or at least most actionable – part. How can you put uninstall rate data to work driving your KPIs? I want to capsule review with you 6 key use cases on how to use relative uninstall rates to optimize your marketing programs. The grid below outlines each and how you can use the results to power more effective marketing investments. By Vendor: Compare user quality by vendor. Adjust budget allocation to optimize to quality installs. Partner with vendors to improve rates. By Cohort: Identify which cohorts uninstall at lower rates. Shift budget to best performing user groups. By Campaign: Identify which campaigns drive best users. Shift budget to strongest and best-performing campaigns. By Creative: Evaluate ads based on install quality. Adjust budget and clone concepts/offers to drive better results. By Buying Model: Identify any uninstall tradeoffs of incentivized install quality. Optimize allocation to hit your KPIs. By Region: Calculate the uninstall rates in different regions. Then adjust spend levels to lower uninstall regions to drive greater overall ROI. The value of each of these approaches should be fairly self-explanatory. The larger point is that these are just six examples of how uninstall data can help you better understand your business and drive stronger KPIs. host of improvements in the manner by which you drive best results for your business. Whatever the reason for a low quality install, I am sure you see why getting reliable information on uninstall rates is important to effective marketing.